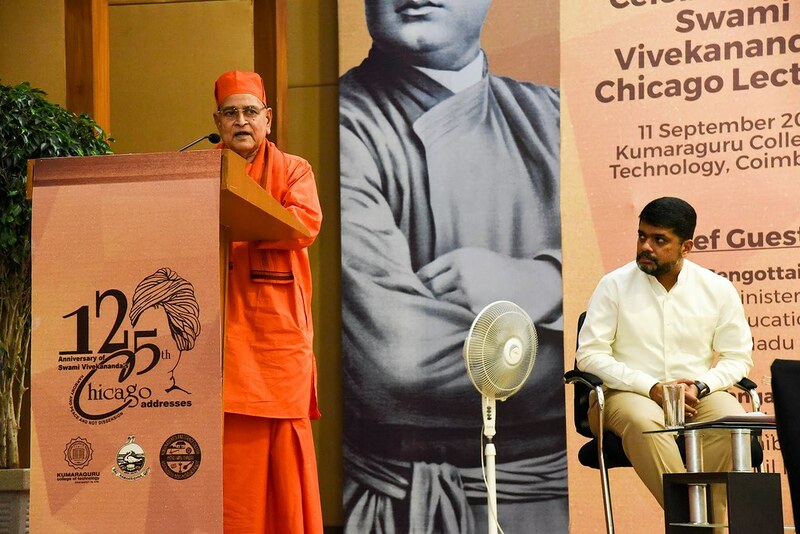 In commemoration of 125th Anniversary of Swami Vivekananda’s Chicago Addresses, Ramakrishna Math, Chennai conducted various competitions at state level for the students from high schools to colleges and also for the general public. 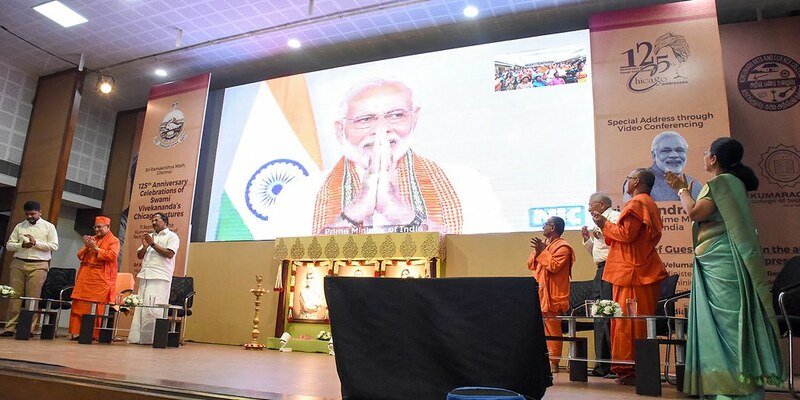 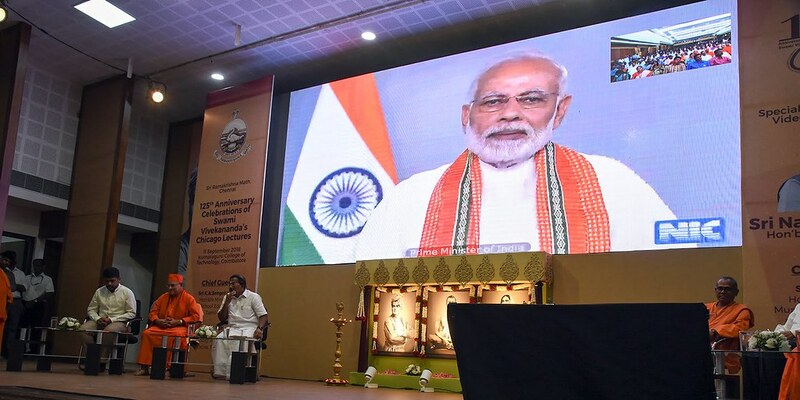 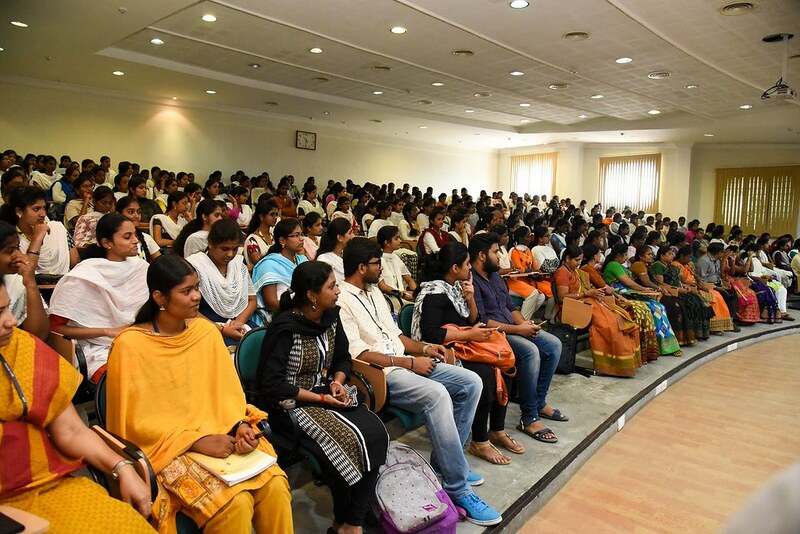 The Valedictory Function and Prize Distribution Ceremony for the winners of the competitions was held on Tuesday, 11 September 2018, at Kumaraguru College of Technology, Coimbatore from 3.00 to 6.00 p.m.
Hon’ble Prime Minister, Sri Narendra Modi delivered a Special Address LIVE through Video conference for 23 minutes. 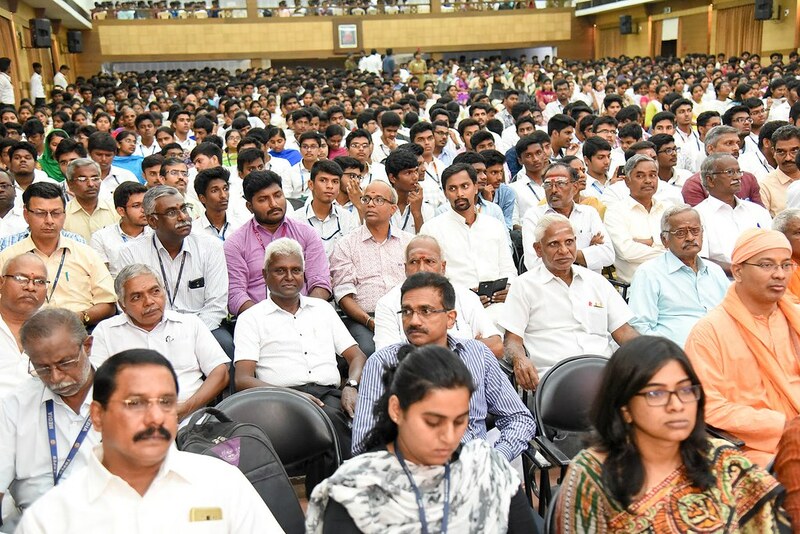 Hon’ble Minister for Tamil Official Language and Archive Sri K.Pandiarajan, Tamilnadu Government spoke on the occasion. 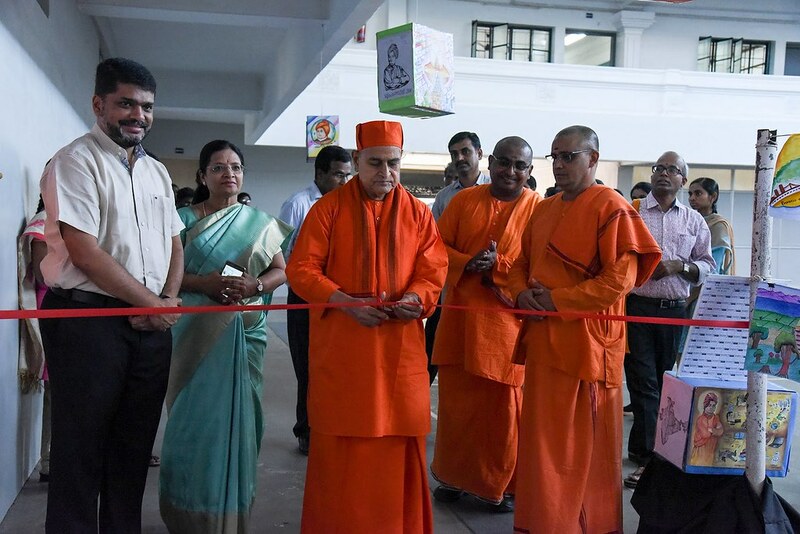 A Tamil book by Sri Pe.Su. 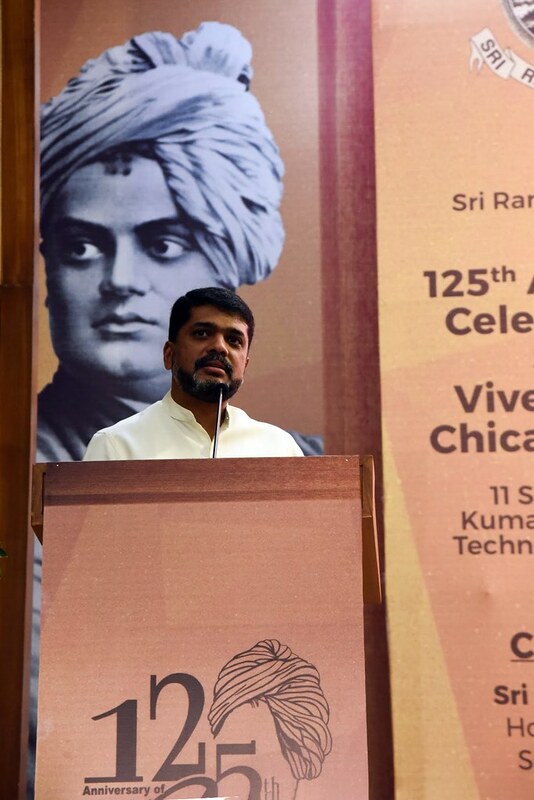 Mani on Chicago Address (in Tamil) was released during the Function. 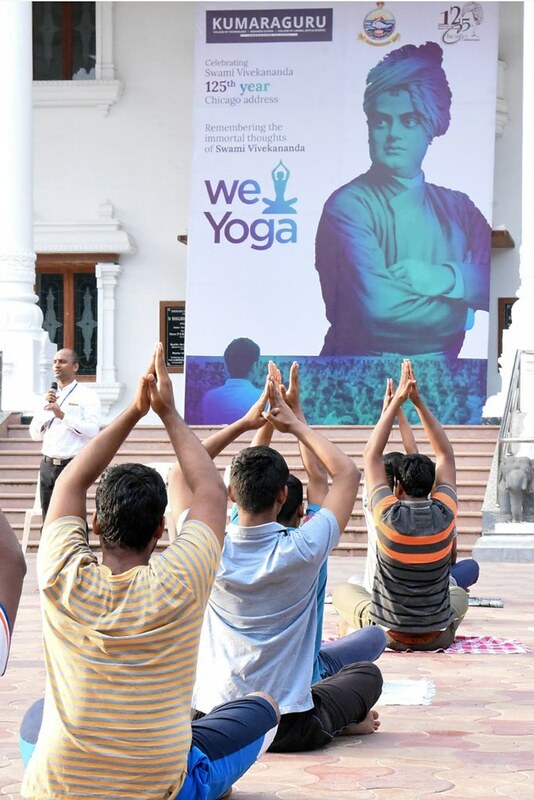 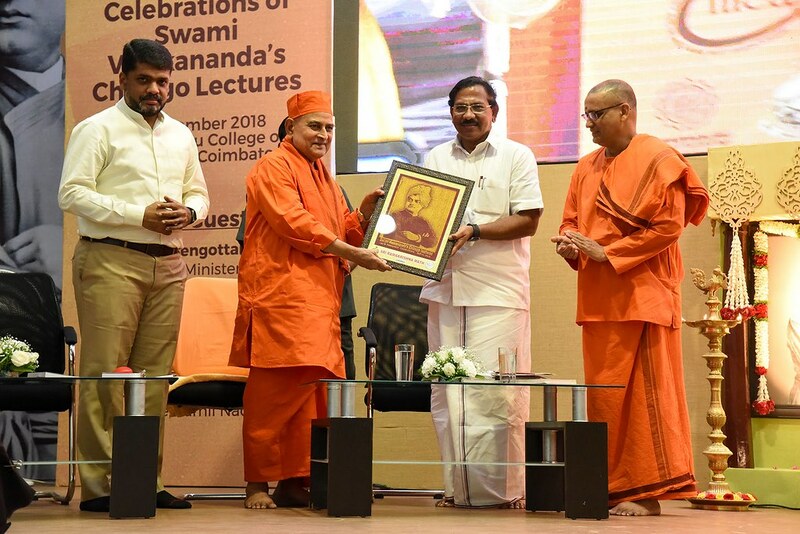 Around 12.5 Lakh pamphlets both in English and Tamil containing 3 speeches from Swamiji’s Chicago addresses which are relevant to the students were distributed to school and college students to motivate them to participate in the competitions. 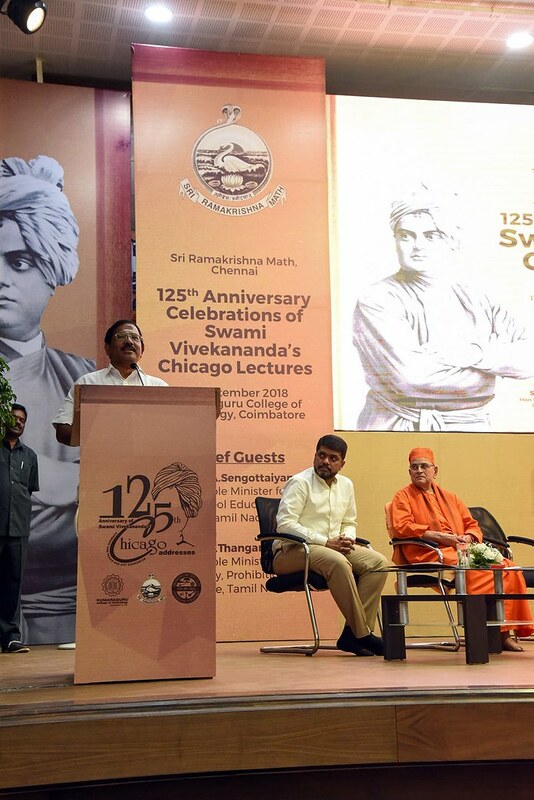 20,000 drawings, 56,000 poems in Tamil were received. 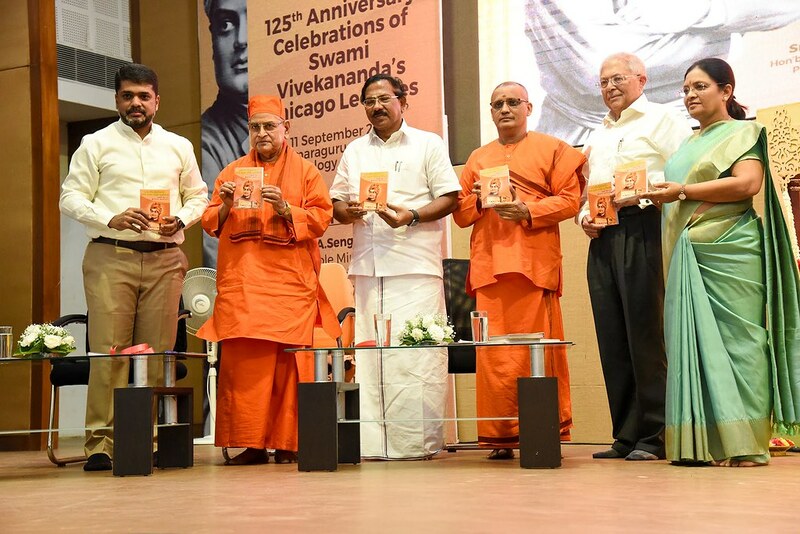 Around 2 lakh essays in Tamil & English. 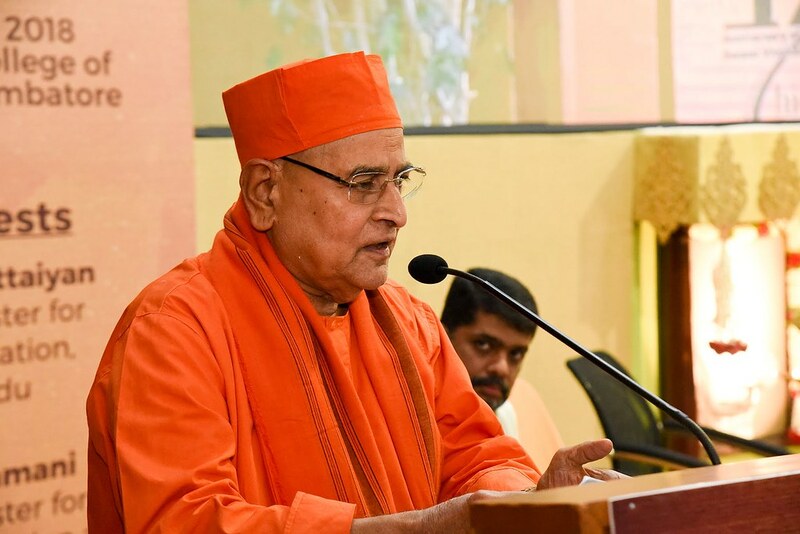 Seminars on Swamiji’s lectures organised in 15 districts.